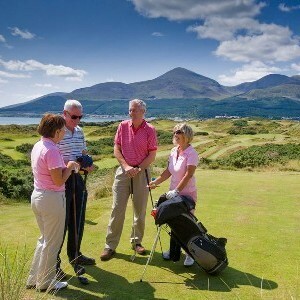 Review our guide to Irish golf courses, check out our Golf Resorts and Golf Hotels in Ireland, and start planning your Ireland golfing vacation. 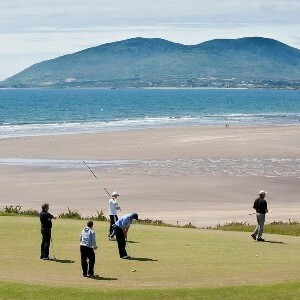 Ireland and Golf go in hand and hand and for many, an Ireland vacation for Golf is the ultimate golfing vacation. Our Green Isle boasts an unbeatable range of distinct and beautifully sculpted Irish golf courses that will challenge and delight golfers of all levels. This little island, roughly the size of Indiana, hosts nearly one-third of the world's true links courses, amid some of the most incredible scenery imaginable. 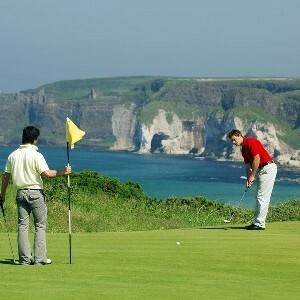 What's more, our golf resorts, golf hotels and castles are world famous and the hospitality of the Irish is legendary. In this golfing section you will find information on courses, resorts and our recommended accommodation as well as itineraries and golf packages that you can tailor to your own unique requirements.